Member of the faculty at Penn State’s School of Music and graduate of the Juilliard School, violinist Max Zorn will perform the Central Pennsylvania premiere of Jonathan Leshnoff’s Chamber Concerto for Violin and Orchestra. Leshnoff is a young and relatively prolific composer based in Baltimore, who has had his music performed by the Philadelphia Orchestra, and the symphony orchestras of Atlanta, Baltimore, Dallas, Kansas City, Nashville, and Pittsburgh. “When I write a concerto,” says Leshnoff, “I have to become the instrument. It’s a double refraction: it has to go through me and then through the solo instrument. I have to become a violin and produce what it sounds like, what it likes to do.” Leshnoff has the advantage of being a violinist himself. 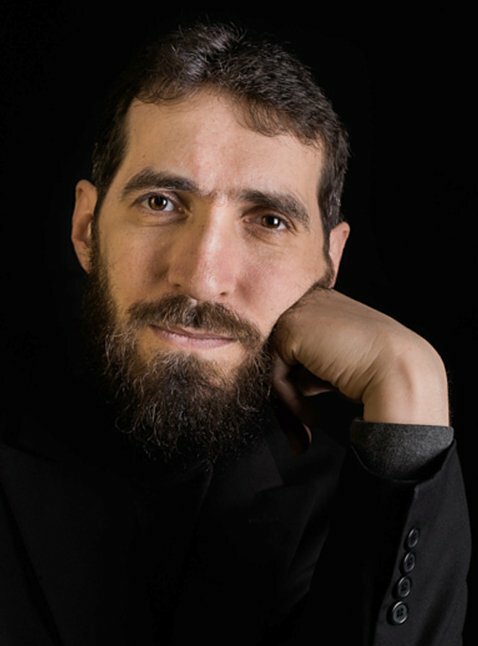 To open the concert Maestro Yaniv Attar has chosen the dramatic Olympie Overture by Joseph Kraus. A favorite of King Gustav III of Sweden, Kraus composed this overture for a production of Voltaire’s tragedy Olympie. The music illustrates the rousing action and high emotion of the drama and shows the orchestra in a very colorful light. But what about the dancing bear? To close the concert the orchestra will perform one of Franz Joseph Haydn’s best-known works, his Symphony No. 82, “The Bear.” By 1786 Haydn’s reputation as a master composer had spread from Vienna across the entire continent of Europe. This symphony, one of a series of six so-called “Paris” symphonies, was commissioned in 1786 by the Concerts de la Loge Olympique, a popular Parisian concert series. This symphony’s nickname comes from the final movement, in which Haydn imitates the sound of the bagpipe or Dudelsack – a low sustained drone, like music used to accompany dancing bears – a popular form of street entertainment. The Concert: PA Chamber Orchestra, at the State Theatre, Sun. April 14, 2019 at 3:00 pm. CLICK HERE to order tickets from the State Theatre.